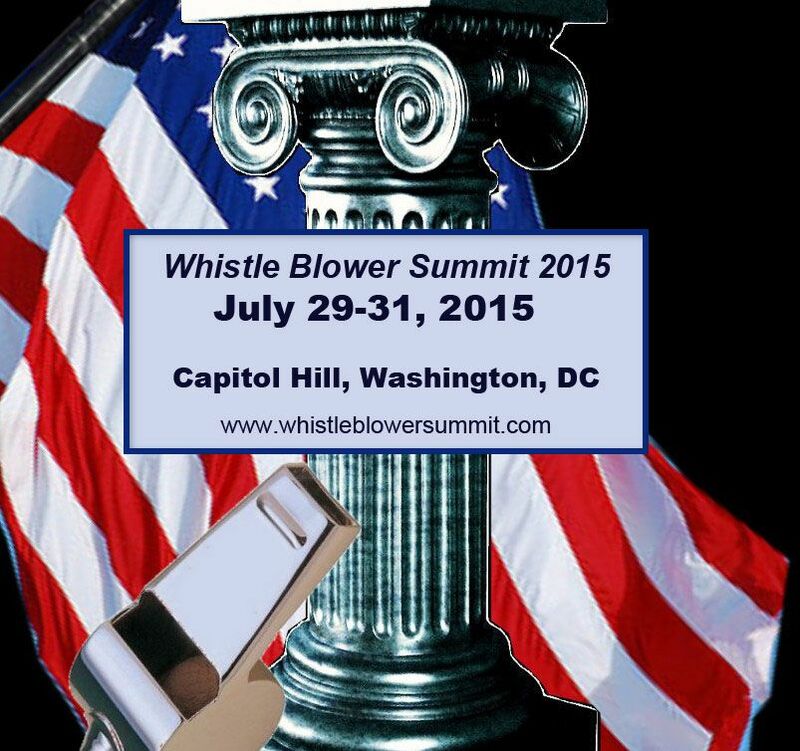 Among the special events at the annual Whistle Blowers Summit July 29-31 will be awards presentations, a free film screening of Kill the Messenger, and author book-signings July 30 at the Busboys & Poets flagship store in Washington, DC. In addition to the panels that are the core of the free program, U.S. 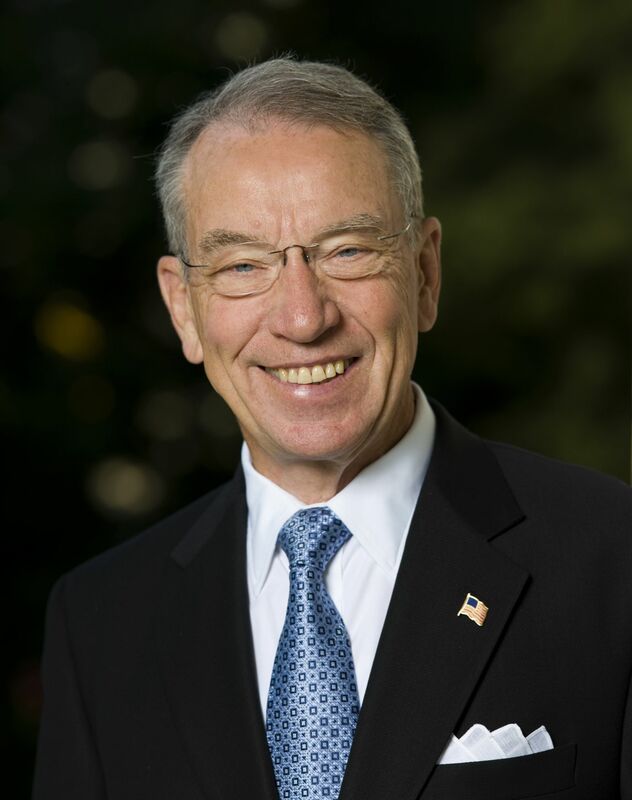 Senators Chuck Grassley, a Republican from Iowa, and Oregon Democrat Ron Wyden are among seven U.S. senators scheduled to speak July 30 on Capitol Hill. Both are longtime supporters of accountability in government, co-founders of the Senate Whistleblower Caucus, and previous winner's of the Summit's "Pillar Award." A unprecedented total of seven senators are expected to convene for the first time to celebrate the nation’s whistleblowers, according to an announcement by the National Whistleblower Center. It organized a luncheon for “National Whistleblower Day” in commemoration of the Founding Fathers’ passing the first ever whistleblower law in 1778, as well as the crucial role of whistleblowers play in defending our nation from waste, fraud and abuse. Grassley (shown in a file photo) chairs the Senate Judiciary Committee. Wyden is the ranking Democrat on the Joint Senate-House Committee on Taxation, and has been especially active on the Select Committee on Intelligence in advocating greater public awareness of excesses in electronic surveillance. Beginning in May 2007, whistleblowers have convened annually for education and advocacy at a free conference in Washington, DC. The theme for this year’s Summit is “Black Lives Matter — This Is the Movement!” See: Summit schedule. 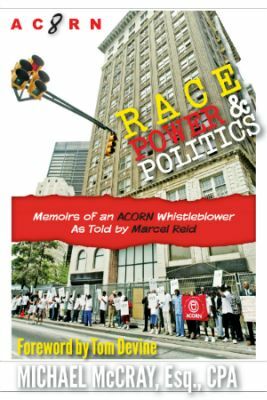 Two of the major organizers for years have been Arkansas-based attorney and CPA Michael McCray and DC-area whistleblower Marcel Reid, a former ACORN National Director, chair of DC ACORN, and one of a three-member Interim Management Committee to reorganize ACORN after the discovery of a major embezzlement. They collaborated on the book ACORN 8: Race, Power & Politics that they will sign at the event. For print: Tom Engelhardt of TomDispatch. For broadcast: Abby Martin, independent journalist and formerly with RTV, and Dennis Bernstein, host of Flashpoint Radio on KPFA. For documentaries: Kristina Borjesson, producer/director/writer of TWA Flight 800, a documentary featuring six investigators-turned whistleblowers. Also, she is scheduled guest this week on "From a Woman’s Point of View," a show broadcast and available online via the 70,000-watt non-commercial station WMNF-FM (88.5) in Tampa. For activism: Dr. Riki Ott, an activist, speaker and author who is a trained marine toxicologist and former commercial fisher woman. She has written books on oil spill impacts to ecosystems, people, and communities and starred in Black Wave, an award-winning feature film. This week, she will also be a guest on the WMNF-FM, whose programming is available online. Also, former Qwest Communications International Chairman and CEO Joseph Nacchio receives in person before his 4 p.m. presentation July 29 a Pillar "Corporate Courage" award designated last year for his opposition in 2001 to Bush administration requests in early 2001 without a warrant for bulk access to Qwest electronic records of customers. The film screening and book signing session will be from 5 p.m. to 9 p.m on July 30. 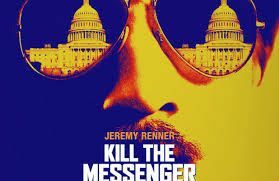 It will include a free screening of Kill The Messenger about the late San Jose Mercury investigative reporter and Dark Alliance author Gary Webb, who died despondent after a firestorm of criticism for his 1990s work alleging official complicity in the crack epidemic plaguing inner cities. The screening may include another of the following films nominated for the Summit’s Pillar Award: A2-B-C ; Silenced; The Hidden Enemy; and TWA Flight 800. 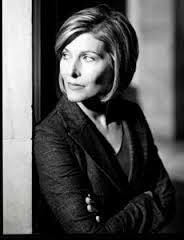 The special event is sponsored by Sharyl Attkisson (shown in a file photo) from the proceeds of her best-selling 2014 memoir of her two decades as a CBS News reporter: Stonewalled: My Fight for Truth Against the Forces of Obstruction, Intimidation, and Harassment in Obama's Washington. The locale is Busboys and Poets at 2021 14th Street, NW, near V Street. Among the media supporters of the event through the years have been its first media supporter, the Pacifica Radio Network, represented on the host planning committee by former Pacific Executive Director Arlene Engelhardt. Other media supporters include Mickey Huff and Andy Lee Roth of Project Censored, and our own Justice Integrity Project, as well as other host committee members: ACORN 8, Coalition for Change (C4C), and the Federally Employed Women Legal Education Fund (FEW-LEF). The National Whistleblowers Center, which hosts a National Whistleblower Appreciation Day special lunch, the Government Accountability Project (GAP), and the Project on Government Oversight (POGO) also are longtime supporters, with each accountability group this year presenting cutting-edge speakers for the program. GAP and POGO are also co-sponsors of the opening reception for July 29. On July 29, free registration for the Summit begins at 9 a.m. at the Stewart Mott House, 122 Maryland Ave, NE. The events, some located in nearby Senate buildings, convene a broad spectrum of whistleblowers and supporters from the realms of national security, USDA, law enforcement, non-profits, financial sectors, military, and veterans affairs. Click here for details. 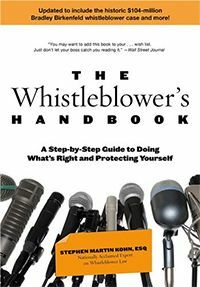 The Founding Fathers’ enactment of America’s first whistleblower law was forgotten over the years until recently unearthed by National Whistleblower Center research, noted its Executive Director Stephen M. Kohn, an author. His organization is sponsoring the lunch, which has reached capacity. OpEdNews, Whistleblowers "LEAP" onto Capitol Hill to Salute Black Lives Matter at Annual Whistle Blower Summit, Michael McCray (shown in photo), June 6, 2015. Over the last eight years, members from the Make it Safe Coalition have arranged an assembly of whistleblowers in Washington, DC each year for an annual conference originally known as Washington Whistleblower's Week. The host committee members are ACORN 8, Coalition for Change (C4C), Project Censored, Justice Integrity Project, and Federally Employed Women Legal Education Fund (FEW-LEF). The theme for the annual conference this year is Black Lives Matter — This Is The Movement! National Whistleblowers Center, Senators Set to Speak at First Congressional Celebration for Whistleblowers, Paul Lyons, July 28, 2015. On July 30th, seven senators will come together for the first time to publicly celebrate our nation’s whistleblowers. The celebration is hosted by the National Whistleblower Center. The two keynote Speakers for the event are Senators Chuck Grassley of Iowa and Ron Wyden of Oregon, who serve as the Chairman and Vice Chairman of the Senate Whistleblower Protection Caucus. Joining them to speak are Senators Ron Johnson and Tammy Baldwin of Wisconsin, Thom Tillis of North Carolina, Mark Kirk of Illinois, and Tom Carper of Delaware (to be confirmed), also members of the Whistleblower Protection Caucus. OpEdNews, Hollywood Filmmakers To Be Honored at Annual Whistle Blower Summit on Capitol Hill, Michael McCray, June 16, 2015. Over the last eight years members from the Make it Safe Coalition (MISC) have arranged an assembly of whistleblowers in Washington, DC each year for an annual conference originally known as Washington Whistleblower's Week. Host committee members -- ACORN 8, Coalition for Change (C4C), Project Censored, Justice Integrity Project and Federally Employed Women Legal Education Fund (FEW-LEF), will co-host this year's Whistle Blower Summit for Civil & Human Rights on Capitol Hill. The theme for the annual conference this year is Black Lives Matter--This Is The Movement! National Press Club, Will NSA Surveillance Reform Protect Public? Michael Smith, July 29, 2015. Joseph P. Nacchio, the former chairman/CEO of Qwest Communications International and of two national commissions on security and infrastructure, will speak at a National Press Club Newsmaker news conference on Wednesday, July 29 – to explain why he believes the USA Freedom Act signed into law last month provides inadequate protection against National Security Agency’s (NSA) bulk data collection of the public’s electronic communications. 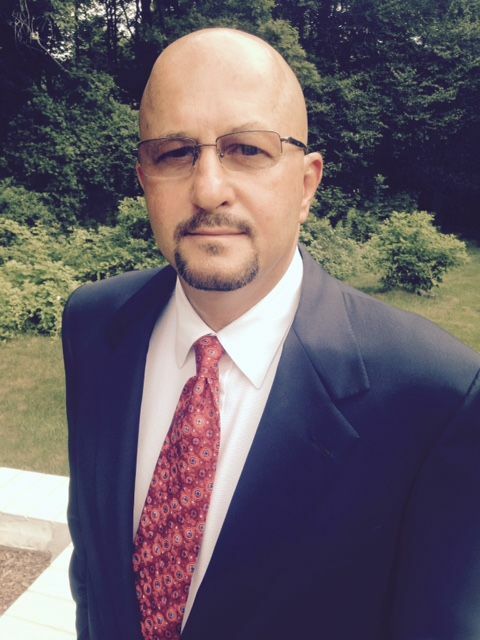 Shown in a file photo, Nacchio speaks also at the Whistle Blowers Summit July 29-31. Nacchio, the leader of the regional Bell provider for 14 Western states, plans to argue that one of the greatest threats to American freedom comes from the U.S. government. Government surveillance that violates the Constitution’s Fourth Amendment “chills” free speech under the First Amendment, he says. Also, he argues that America faces over-criminalization of its justice system and inappropriate political criteria used to determine which targets to prosecute. Nacchio holds a rare position to comment, particularly on the surveillance reforms in the new law that positions private companies as a protector of customer data from potential government over-reach. In early 2001 before 9/11, Nacchio declined the Bush administration’s request to cooperate in the warrantless monitoring of customer data. Although many details remain classified, he has been widely reported as the only top telecom executive to demand a court order or approval under the Foreign Intelligence Surveillance Act to turn over records to the NSA. C-SPAN, Sharyl Attkisson on Stonewalled, Dec. 23, 2014. Sharyl Attkisson talked about her book, Stonewalled: My Fight for Truth Against the Forces of Obstruction, Intimidation and Harassment, in Obama’s Washington, an account of allegedly being obstructed, harassed, and surveilled by the Obama administration, progressive news outlets, and her own employers while pursuing information about White House policies and decisions in the Middle East. This was part of a week-long series with authors who have published books in the past year. Sharyl Attkisson, former CBS News reporter, and C-SPAN host Greta Wodele Brawner. Washington Post, Sharyl Attkisson’s computer intrusions: ‘Worse than anything Nixon ever did,’ Erik Wemple, Oct. 27, 2014. 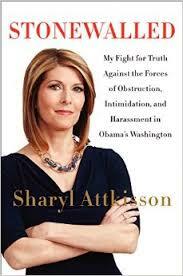 The intrusions into former CBS News correspondent Sharyl Attkisson’s computers constitute the narrative spine of the reporter’s new book “Stonewalled: My Fight for Truth Against the Forces of Obstruction, Intimidation, and Harassment in Obama’s Washington.” The book starts with not really a word, but a sound: “Reeeeeeeeeee.” That’s the noise that Attkisson’s Apple computer was making at 3:14 one morning. A Toshiba laptop computer issued by CBS News did the same thing a day earlier, around 4 a.m. All this goes down in October 2012, right in the midst of the Benghazi story. A person who’s identified as “Jeff” warns Attkisson: “I’ve been reading your reports online about Benghazi. It’s pretty incredible. Keep at it. But you’d better watch out.” “Jeff,” like several of the names in “Stonewalled,” is a pseudonym. Justice Integrity Project, Former Political Prisoners Nacchio, Bolden, Scrushy To Warn of Democracy Threats July 29 At Whistle Blowers Summit In DC, Andrew Kreig, July 10, 2015. Participants in three of the most controversial and important politics-tinged criminal cases in recent American history will condemn dangers to democracy July 29 at the annual Whistle Blowers Summit on Capitol Hill in Washington, DC. Former Qwest Communications International Chairman and CEO Joseph Nacchio, former Secret Service White House special agent Abraham Bolden, (whose powerful 2008 memoir The Echo from Dealey Plaza is shown at right) and former HealthSouth CEO Richard Scrushy will speak on “Exposing U.S. Political Prosecutions & Dangers To Democracy” on a 4 p.m. panel moderated by the Justice Integrity Project. Each speaker became a participant, whistleblower, victim, and now a hero in, respectively, the national debate regarding warrantless electronic surveillance, President John F. Kennedy's 1963 assassination, and the federal prosecution of former Alabama Gov. Don Siegelman, who remains imprisoned for disputed events arising in 1999. 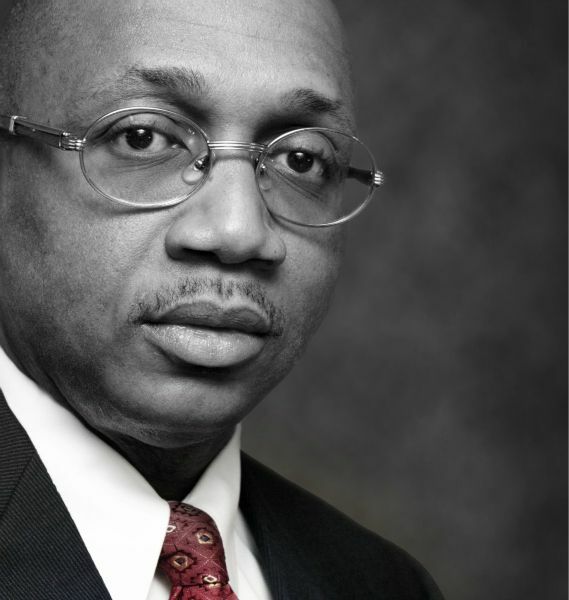 WPFW-FM (Washington, DC 89.3), Community Watch and Comment, Host Gloria Minott interviewed at 11:15 a.m. former Secret Service officer and whistleblower Abraham Bolden about presidential security, July 27, 2015. Bolden described his shock at hearing fellow officers express personal animosity to President Kennedy repeatedly for his policies, and on some occasions prompting them to say they would not bother trying to save him if a threat arose. Bolden said additionally that President Obama apparently suffers from some of the same hatred from segments of the public and slipshod behavior from the Secret Service, but without the Kennedy family wealth that provides a certain degree of independence from sinister forces arrayed against him. Project on Government Oversight (POGO), Department of Justice’s Decision Undercuts, Weakens Federal Watchdogs, Staff report, Staff report, July 24, 2015. The Office of Legal Counsel’s memorandum restricting what access Inspectors General will have to certain investigative records makes a mockery of our government’s internal watchdog system. The memorandum clashes with Congress’s unambiguous and long-standing intent for Inspector General offices to have complete and timely access to executive branch records, as enshrined in the Inspector General Act and subsequent laws. IGs cannot be effective watchdogs on behalf of Congress and the American public if they have to negotiate with agency leaders for access to records on a case-by-case basis. Nonetheless, the Office of Legal Counsel has determined that IGs must consult with the very officials they're supposed to oversee in order to remove restrictions on the dissemination of sensitive material. The Office of Legal Counsel’s memorandum restricting what access Inspectors General will have to certain investigative records makes a mockery of our government’s internal watchdog system. The memorandum clashes with Congress’s unambiguous and long-standing intent for Inspector General offices to have complete and timely access to executive branch records, as enshrined in the Inspector General Act and subsequent laws. IGs cannot be effective watchdogs on behalf of Congress and the American public if they have to negotiate with agency leaders for access to records on a case-by-case basis. Nonetheless, the Office of Legal Counsel has determined that IGs must consult with the very officials they're supposed to oversee in order to remove restrictions on the dissemination of sensitive material. Time Magazine, Gary Hart: America’s Founding Principles Are in Danger of Corruption, Gary Hart, June 26, 2015. Gary Hart is a former United States senator (D-Colorado), presidential candidate and the author of 21 books. This essay is excerpted from his latest book, The Republic of Conscience. What brought us to this? 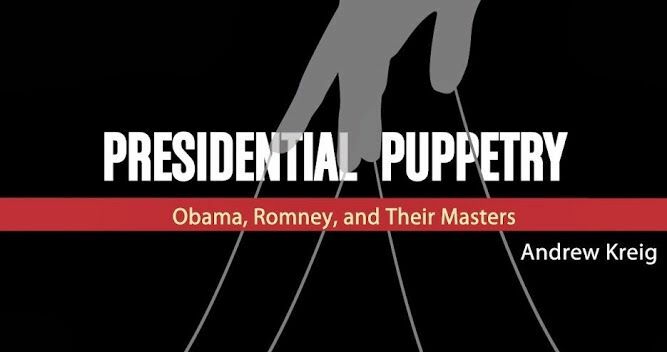 A sinister system combining staggering campaign costs, political contributions, political action committees, special interest payments for access, and, most of all, the rise of the lobbying class. Worst of all, the army of lobbyists that started relatively small in the mid-twentieth century has now grown to big battalions of law firms and lobbying firms of the right, left, and an amalgam of both. And that gargantuan, if not reptilian, industry now takes on board former members of the House and the Senate and their personal and committee staffs. And they are all getting fabulously rich. This development in recent years has been so insidious that it now goes without notice. The key word is not quid pro-quo bribery, the key word is access. In exchange for a few moments of the senator’s time and many more moments of her committee staff’s time, fund-raising events with the promise of tens, even hundreds, of thousands of dollars are delivered. Corruption in a federated republic such as ours operates vertically as well as horizontally. Seeing how business is conducted in Washington, it did not take long for governors of both parties across the country to subscribe to the special-interest state. Both the Republican and Democratic governors’ associations formed “social welfare” organizations composed of wealthy interests and corporate executives to raise money for their respective parties in exchange for close, personal access to individual governors, governors who almost surely could render executive decisions favorable to those corporate interests. A series of judicial decisions enabled these “social welfare” groups, supposedly barred from political activity, to channel virtually unlimited amounts of money to governors in exchange for access, the political coin of the realm in the corrupted republic, and to do so out of sight of the American people.